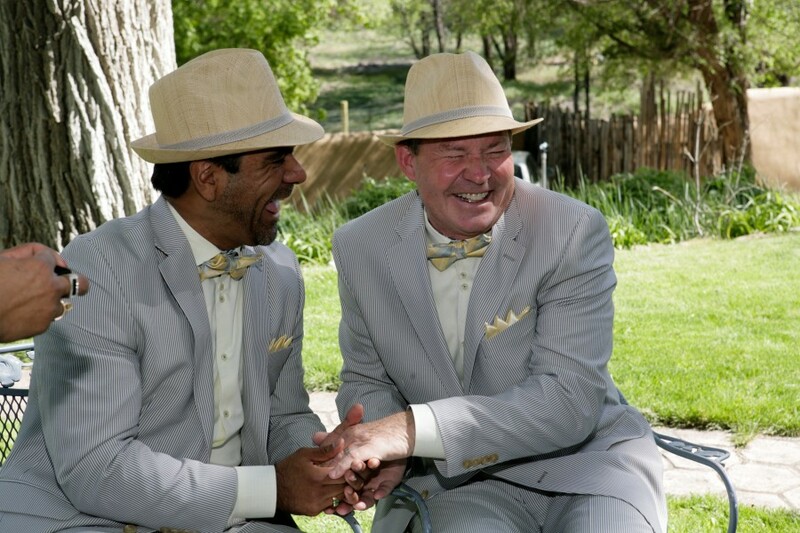 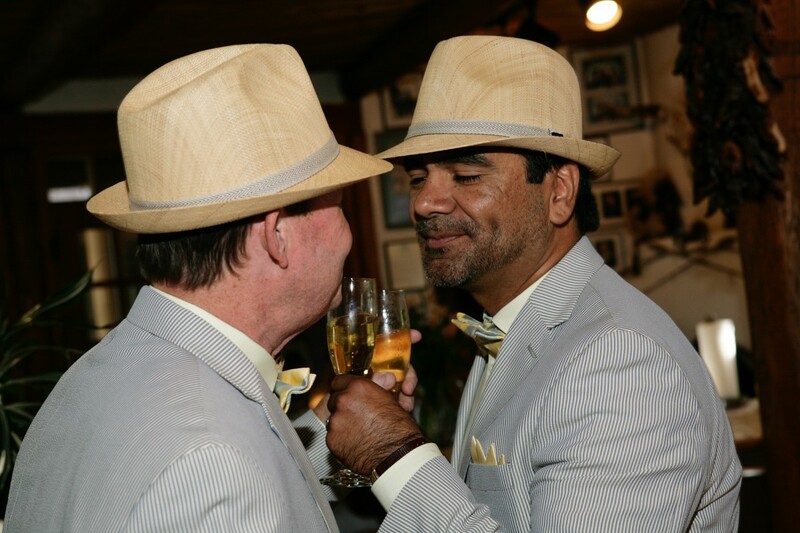 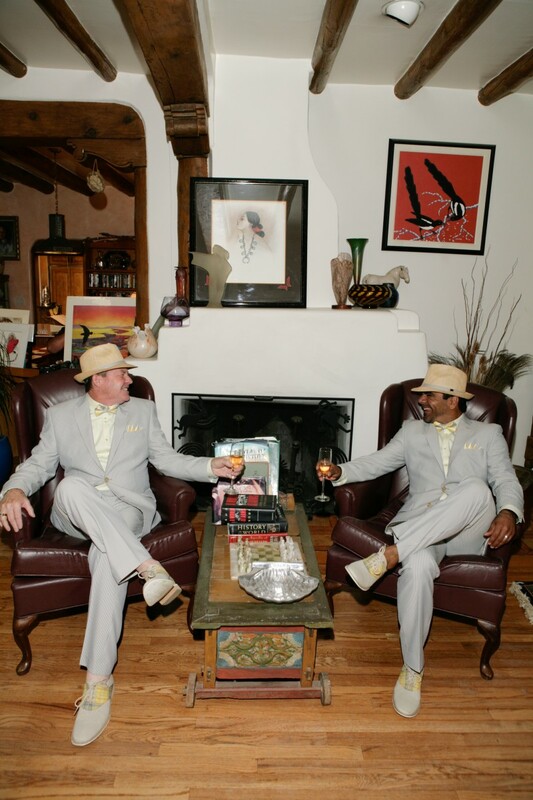 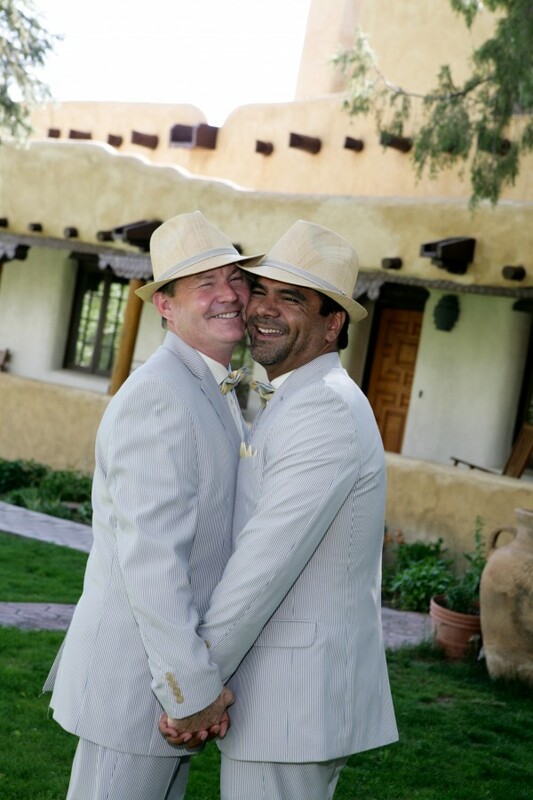 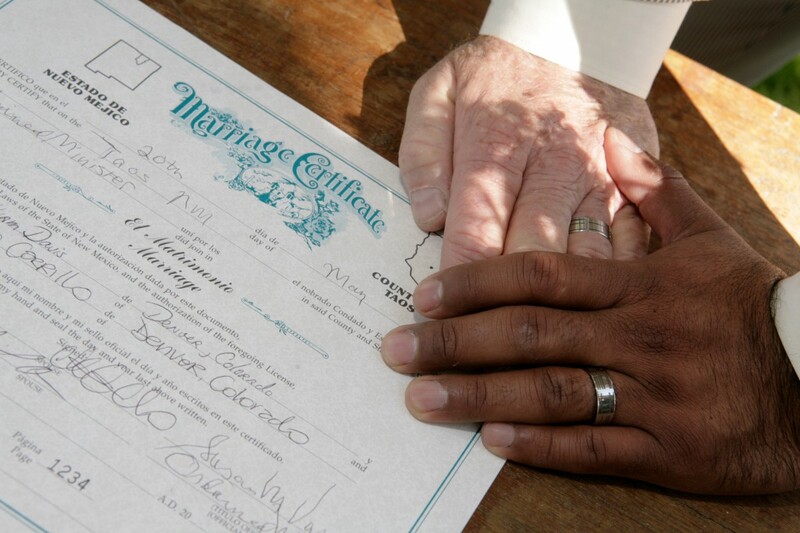 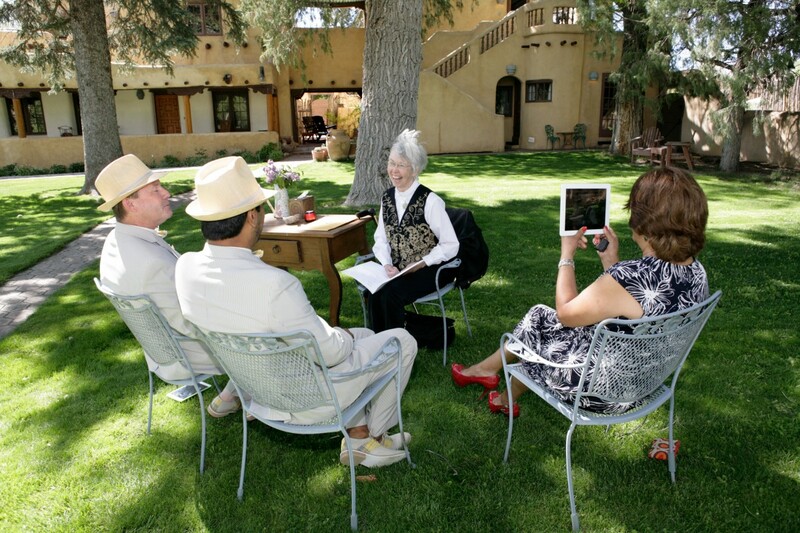 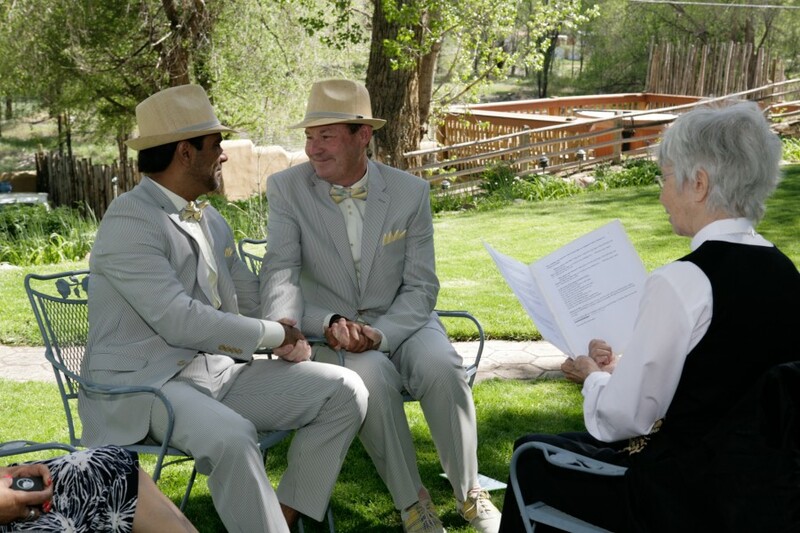 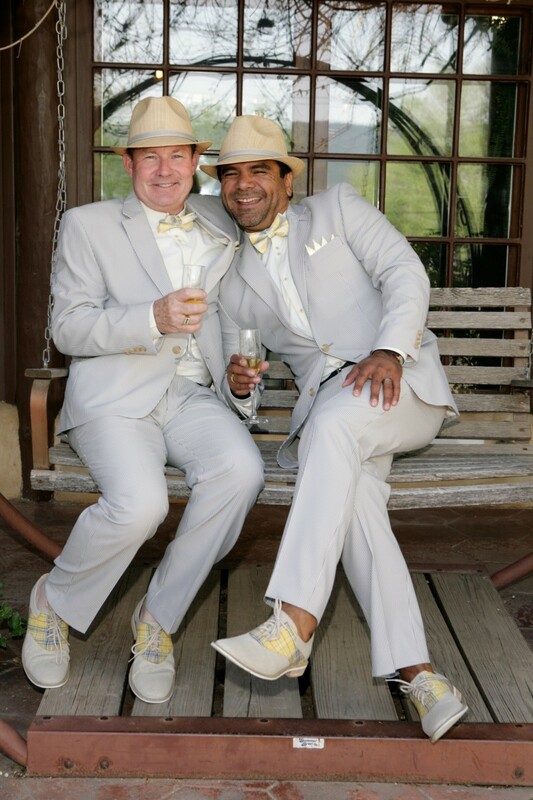 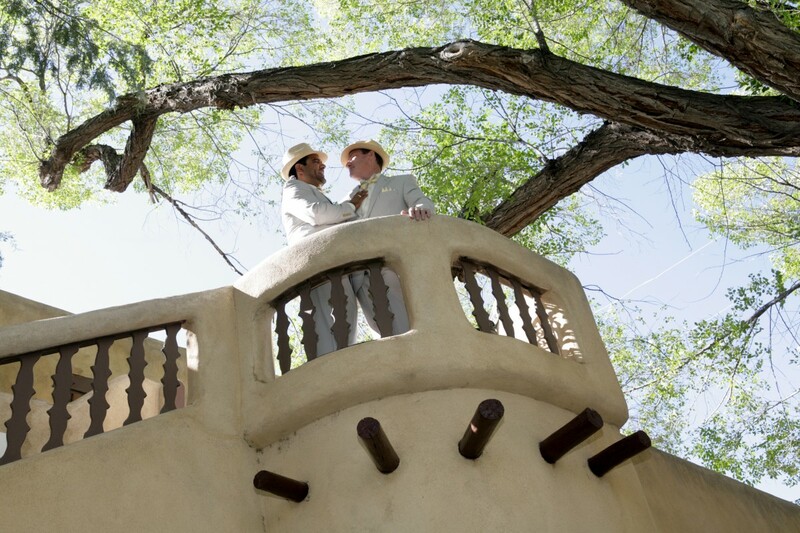 These men picked the perfect spring day for a Taos wedding! 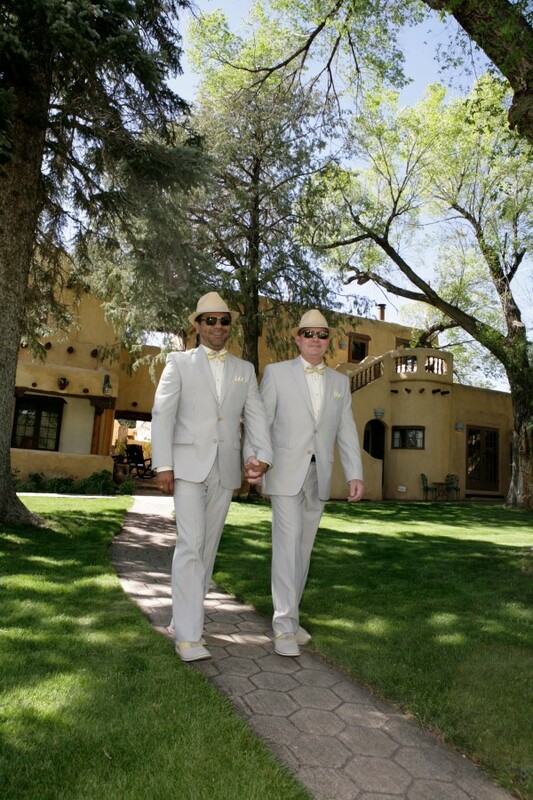 The lush grass and full trees were an outstanding background for the outdoor, wedding ceremony. 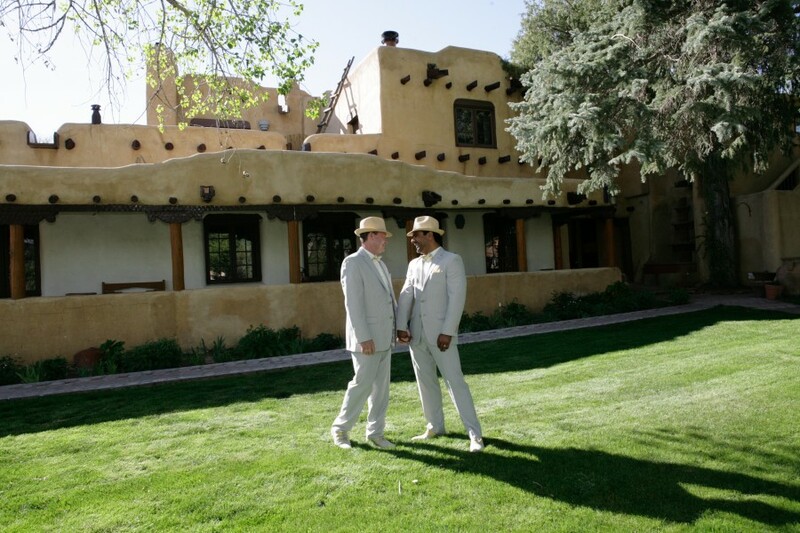 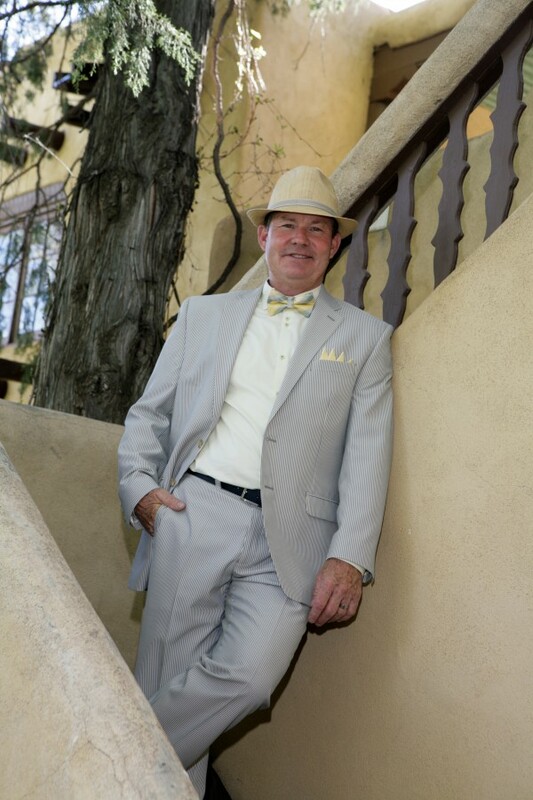 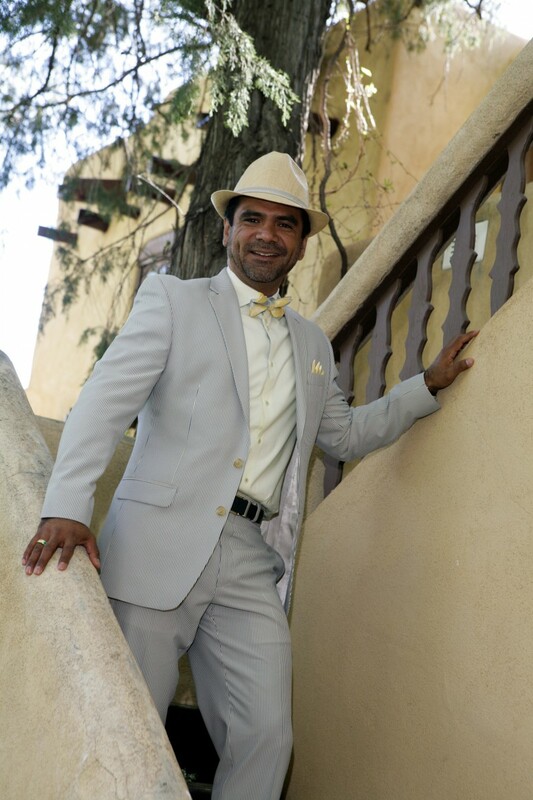 The gorgeous adobe inn and architecture was an outstanding prop for our photos and we had fun taking advantage of each nooks and cranny! 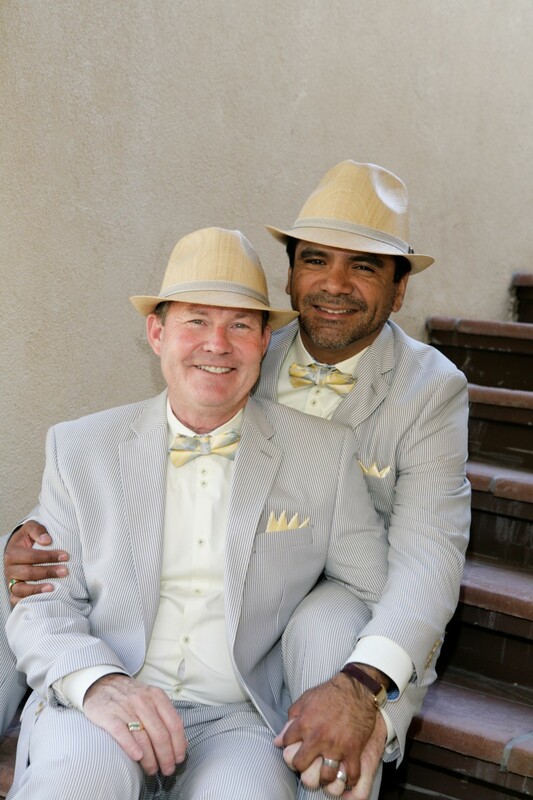 A huge congratulations to this extremely beautiful couple!